It’s been quiet around here lately, and today’s post will explain just the reason! 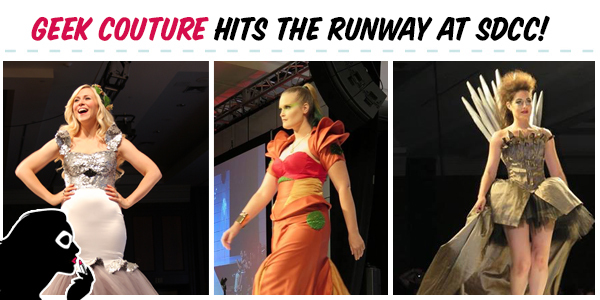 As many of you know, San Diego Comic Con happened recently, and with it came the first ever Geek Couture Fashion show. Scruffy and I were both lucky enough to be chosen to participate along with 34 other designers from around the country. I have to say, the competition was fierce!